Home buyers often make the same mistakes while buying a home. If you are a home buyer, make sure to read the top ten mistakes home buyers make and make sure not to fall into these traps. Home buyers should always determine what kind of house payment they can afford. Thirty percent of the couple’s monthly income can be reserved for the monthly house payment which will include taxes and insurance as well as principal and interest payments towards the house. Home buyers should check their credit scores well in advance of searching for a house, so that any mistakes on the reports can be corrected before any negative content affects the couple’s ability to buy a house. Pull a free credit report and make sure nothing is out of place. You can appeal to have any false information removed, but this should be done before you think of buying a home. Some companies from which you can obtain credit reports include TransUnion, Experian and Equifax . Getting pre-approved for a home loan is the smart thing for home buyers to do. It saves time to know the price range in which they need to stay, and gives them an edge over other bidders who are not approved for loans. While it is everyone’s dream to have a huge home, sometimes home buyers need to be in a specific range as mortgage loans can only be approved for home buyers in a specific range. A real estate professional can help home buyers along every step of the home buying process, especially if they are first time buyers. The home buyer can save a great deal of time and money by having an agent on their side to help with negotiating and understanding the purchase agreement. Negotiations can sometimes be very stressful for home buyers and having an ace negotiator on your side can help many home buyers clinch their dream home. 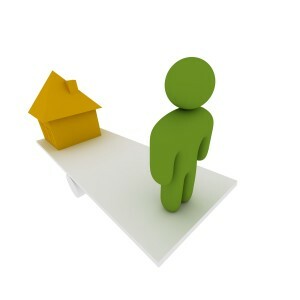 The choice of a real estate agent should require thought and not be made quickly by home buyers . It is very important that the real estate agent understands the needs of home buyers who are buying a home, perhaps for the first time. Home buyers should feel comfortable with the agent, as well. Home buyers should understand that there are always surprise costs when buying a home such as property taxes, closing costs and moving costs. Homeowners insurance is also something that should be factored into buying a home – ask your real estate agent to learn more about homeowners insurance. Home buyers searching for a home may have a list of things they want a house to have, and they may not always be able to have all of the things on the list. Home buyers should be able to compromise and realize which things are the most important to them when it comes to choosing the right home. Home buyers may find the perfect house, but is it in the perfect neighborhood? Many things must be considered, including commute time, schools, safety and crime, and proximity of shopping areas. Some of these statistics are available online and some time dedicated to conducting research will server home buyers very well. Many home buyers are so excited about choosing a home, that they begin making plans right away before waiting for the home inspection to be performed. There may be expensive repairs needed to the home that will change those plans fairly quickly. A proper home inspection is necessary as it may help with negotiations and might save home buyers a lot of money before they invest in their new home. Although home buyers may not be thinking about selling the house one day, it is wise for them to consider it by taking potential factors in consideration like – the age of the house, neighborhood, commercial developments around the neighborhood, etc.. Making sure that the house would have an appeal for a future buyer is always a good idea.